Katrinas Skin Works is proud to be affiliated with the following products. 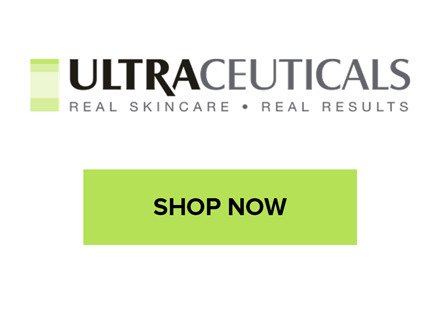 Ultraceuticals are at the forefront of innovation and use only the latest available ingredients and technologies to consistently release new products and improve existing ones. With a combination of sophisticated, patented delivery systems and potent, proven anti-ageing stars like Vitamin A, Vitamin C and Alpha Hydroxy Acids (AHAs), each product is formulated with maximum safety and effectiveness, so you get results which you can actually see. By collaborating with renowned universities and leading researchers, Ultraceuticals are leaders in the global cosmeceutical industry, crafting a simple regimen of products which deliver fast-acting and discernible results to reveal clear, firm, glowing, beautiful skin. For 48 years, Thalgo Laboratories have been creating Marine Products for Spa and Beauty. With over 50 marine active principles identified, extracted and concentrated in exclusive ingredients with unrivalled properties, Thalgo products are a genuine concentrate of marine effectiveness, created according to stringent standards of performance, total affinity with the skin and ultimate sensory experience to offer Professional Excellence to every woman in the world. Lish offers a Body Care range to compliment all hair removal services such as waxing, IPL, sugaring and electrolysis. The products are suitable to use pre and post hair removal services and are designed to soften and hydrate the skin, soothe redness and reduce ingrown hairs. Lish is recommended by professional salons and technicians all over Australia. Lish offers a complete range of high quality professional acrylic, gel and nail art products along with a full range of take home nail products, advanced nail classes and equipment. Nak are an all Australian hair care company providing the professional hairdressing industry with hair care products that are sulphate free and paraben free. With new look waxes, vibrant colours, and a signature range which is infused with natural mineral rich elements from the sea, we know you’ll agree that Nak hair products are at the forfront of hair care.